White Gold vs Platinum - which one do you prefer? White gold vs platinum is a debate that nobody can explain properly. Many people confuse white gold with platinum or are under the impression that it’s the same thing. They are not to be blamed since jewelers have helped with this confusion. By metaphorically calling platinum “white gold”, just like the forests are called “green gold”, they have created a big confusion. White gold is not platinum, they are very different metals. This is why we have decided to shed some light here and explain the differences between white gold and platinum. In this article, you will read about white gold vs platinum and understand not only the differences but also the benefits of each metal. At Ana Luisa, we believe in helping our customers make an informed choice. Platinum is a naturally-occurring metal. It has its own chemical element in Mendeleev’s table. People extract platinum from South Africa, but also Russia and Canada. Platinum’s white color resembles silver and is natural. White gold, on the other hand, is an alloy. You cannot find white gold in nature simply because people create it using gold, silver, palladium and a rhodium plating. While people use platinum in jewelry making, as well as for laboratory equipment and some electrical devices, white gold is only for jewelry. 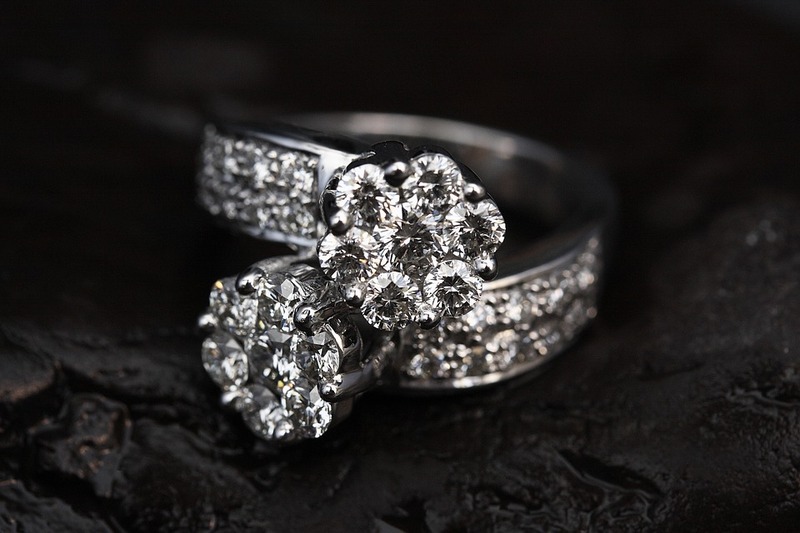 You should know that platinum has the most luminescent white when compared to other jewelry metals. White gold is also highly luminescent, but not like platinum. A platinum bracelet, for example, will always reflect light better than a white gold bracelet. Platinum is 60% more dense than gold and it is also heavier. However, gold is a more malleable metal than platinum which can be quite brittle. When it comes to its hardness, platinum is harder than pure gold, but you should consider the fact that your gold jewelry is not pure gold. As you may know, gold is a very soft metal and jewelry makers combine it with different alloys to increase its strength. As a result, an 18k white gold jewelry piece will be harder than a platinum one because of the alloy. 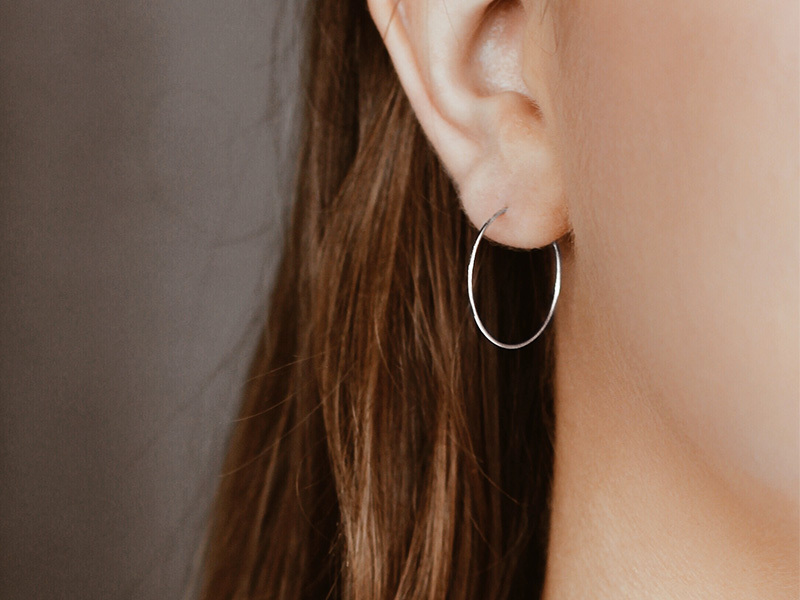 What does this mean for your jewelry? For starters, it means that when you hold a platinum ring in one hand and a white gold ring in the other, the first will feel more substantial. Furthermore, if you take your two rings and apply a shock to them, your white gold ring will be the first to lose its stone. Because gold is more malleable, it is also easier to bend. This means that the setting will not hold the stone in place as well as platinum. But, on the other hand, if you use an abrasive material on your two rings, your platinum one will get more scratches. The white gold alloy is more resistant because of the other metals. Your platinum ring contains a lot more pure platinum than your white gold ring, making it less resistant to scratches. White Gold vs Platinum – Which should you get? The truth is that both metals are extremely beautiful. You can have both white gold and platinum jewelry and, if you take care of it, it will always look fantastic. But if you want to get the best of these precious metals, here’s an idea. Since platinum is harder to bend but easier to scratch than white gold, get a ring that has a white gold band and a platinum setting. This way you can minimize both risks of losing the stone and scratching your ring. When it comes to the price tag, platinum is still more expansive than white gold. In case you are wondering why it has to do with platinum’s properties. A platinum jewelry contains 95% pure platinum, while an 18k white gold jewelry has around 75% gold. This means that more platinum is needed to craft a jewelry piece which causes the price to go up. Since platinum is more brittle and less malleable than gold, it is also harder to work with. Only experienced jewelers can work with platinum and it takes a longer time to craft platinum jewelry. Last, but not least, as opposed to white gold (or any other type of gold), platinum cannot be reused. If you perform the above experiments (and we strongly suggest that you don’t), you cannot take your ruined platinum ring, melt it and create something else. You will have to send it to a refiner who will fix it for you and this will be quite expensive. We hope that now you understand the difference between white gold vs platinum and are ready to purchase your next favorite jewelry piece. Discover our fine jewelry collections and discover designer jewelry at fair prices. Follow us on Instagram to stay updated about our newest limited-edition collections.